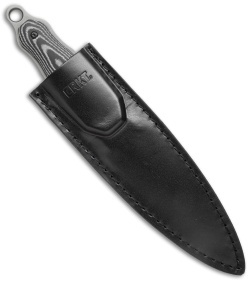 The Matthew Lerch designed Shrill fixed blade is a tactical boot knife to aid in protecting. It has a symmetric design with a 4.8" dual-edged dagger blade and full-tang handle with layered Micarta scales. CRKT kept the Shrill's weight down to enable comfort in everyday combat attire, and it includes a leather sheath for attachment to your boot or belt.